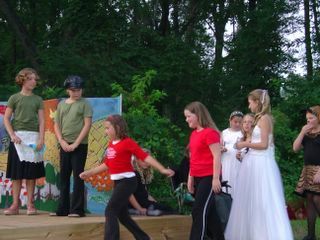 Performance arts camp. Melanie enters stage left. Cherie and I at the crop.